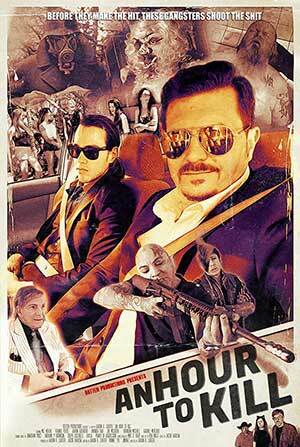 Aaron K. Carter’s genre-bending anthology An Hour To Kill opens with a wraparound segment. 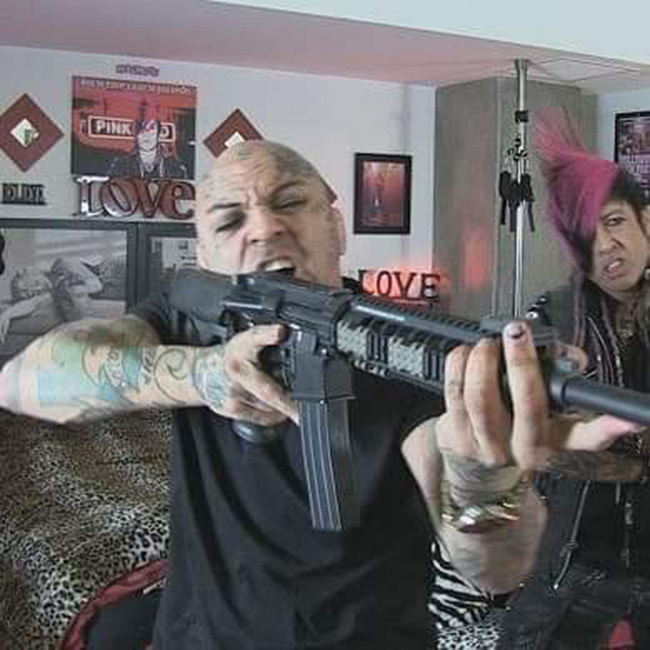 Here, we meet to hired killers - Frankie (Frankie Pozos) and Gio (Aaron Guerreo), in the employ of Mr. Kinski (Mel Noval). These guys, as the title suggests, have an hour to kill before their next job. One of the men knows what the next job is, the other does not. With little else to do, they amuse themselves by telling horror stories to one another. This sets into motion the three vignettes that make up the bulk of the running time of the movie. First up is Valkyrie's Bunker, which takes us to the California of the 1980’s where we learn of the story of some nefarious Nazis that have taken to the hills in hopes of building up their numbers and, at some point, launching an assault! This intertwines with a quintet of lovely young women exploring the area hoping to find some weed. When the bulk of them are quickly killed off, as Nazis should be, the lone survivor of the group kills anyone who gets too close! Assacre, the second story (and no, that isn’t a typo), takes place at a competitive eating competition where a pepper far more dangerous than any of the contestants could have possibly imagined wreaks havoc and leads to… a mess. You can kind of figure out where this one is headed, right? It’s pretty gross. 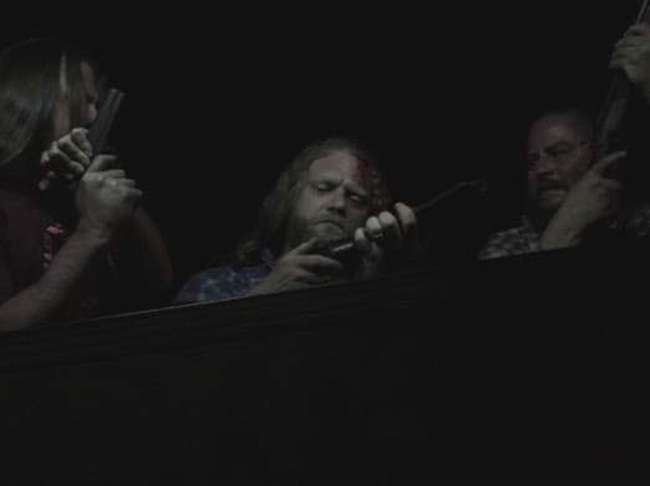 The final story, Hog Hunters, revolves around a gang of rough and tumble redneck bowling team members as they initiate a new recruit into their ranks. There are shadows of Deliverance here but not necessarily in the way that you would expect. A crass and imaginative Troma-esque picture, An Hour To Kill won’t win over those who don’t already have a soft spot for low budget schlock. If you get a kick out of that kind of thing and don’t mind the fact that this was clearly made on the cheap, it’s easy to appreciate the creativity that went into getting this made. There’s a lot of heart here, the kind that makes it easy to overlook the fact that not all of the jokes hit like they should and that not all of the dialogue flows as well as you might hope. Performances are uneven but it’s amusing to see Mel Novak (he of Game Of Death, An Eye For An Eye and Samurai Cop 2!) show up here. The fact his hair looks as ridiculous as it does is either a blessing or a curse, depending on how you look at it. 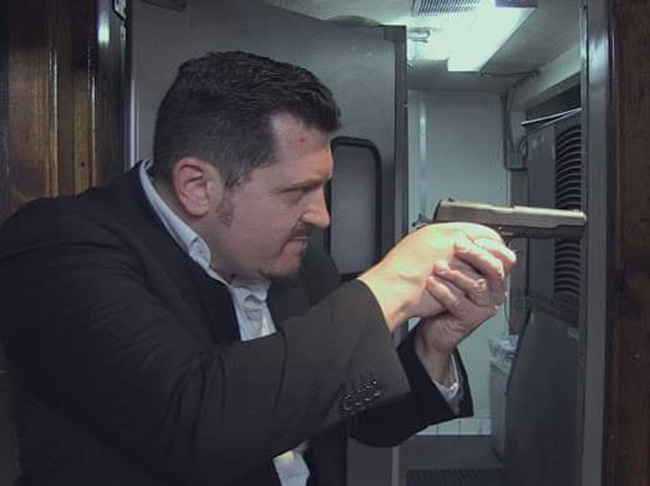 Pozos does a good job playing the goofier of the two hitmen and Guerrero is also pretty decent, basically playing the straight man to his co-stars clown. There’s some good locations work here – the opening scene in the bar (with a very flamboyant ‘punk rock’ bartender) makes good use of the grimy locale. Carter was savvy enough to shoot Valkyrie's Bunker on location at the actual Murphy Ranch in the Hollywood Hills (which was an actual Nazi compound of sorts in the 1930s), which is now absolutely covered in graffiti. It’s the perfect spot to stage a story like this and the camerawork employed in the film does a good job of exploring it. Not everything here works, but enough of it does to keep you engaged and entertained throughout the picture.